Holt Antiques & Interiors Centre just 2 minutes from the centre of the historic Georgian town of Holt, North Norfolk. 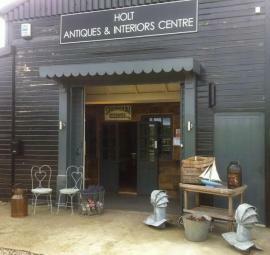 A large centre with many dealers offering antiques, furniture, collectables, mirrors, lighting, architectural antiques and more. You are sure to find something antique, decorative, interesting and useful for your home or garden here!